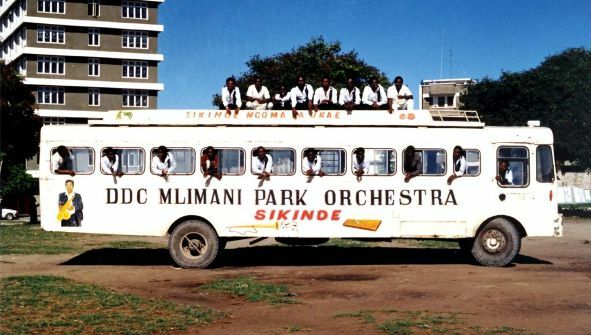 What better to liven up a slow Thursday morning than another dose of Muziki wa Dansi, courtesy of Tanzania's DDC Milmani Park Orchestra? 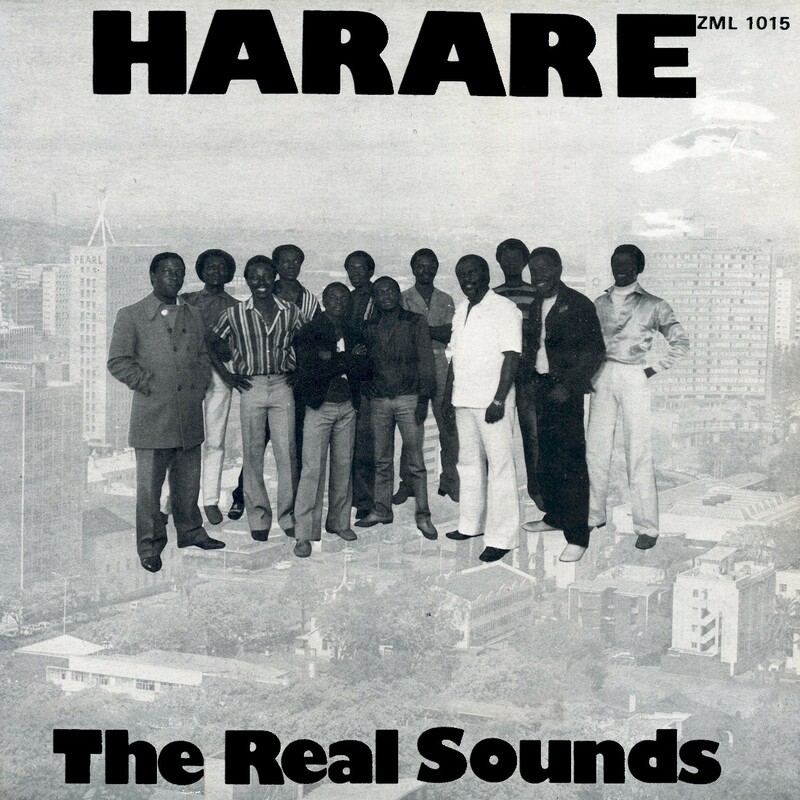 The usual caveats apply to this Flatim Records/Ahadi cassette of Sitokubali Kuwa Mtumwa (AHD(MC)6024): Red hot music, lo-fi sound. Enjoy! Download Sitokubali Kuwa Mtumwa as a zipped file here. 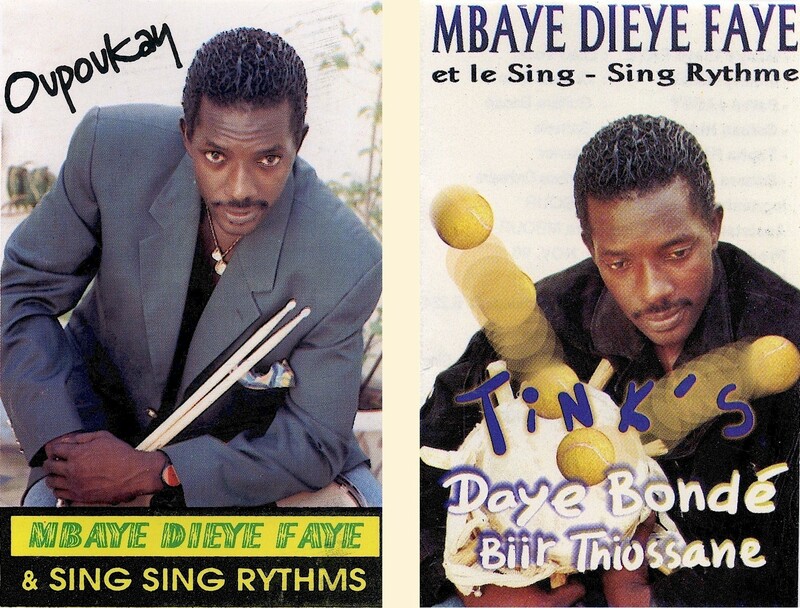 More Mlimani songs are available as streaming audio here. 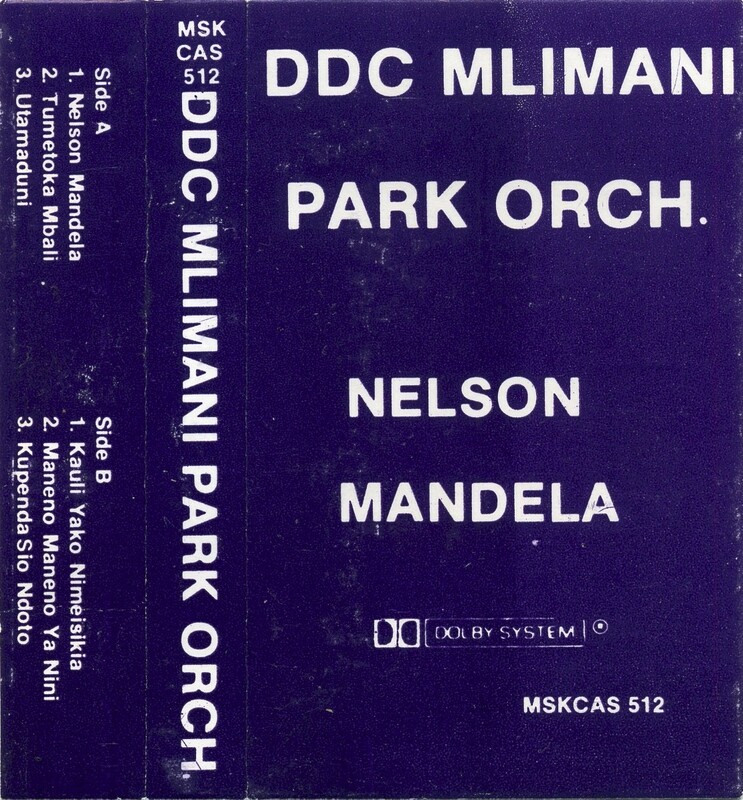 The subject of many musical accolades over the years, South African liberation fighter (and President from 1994-99) Nelson Mandela receives his due in this cassette (Ahadi/Flatim MSKCAS 512) by Tanzania's immortal DDC Mlimani Park Orchestra. 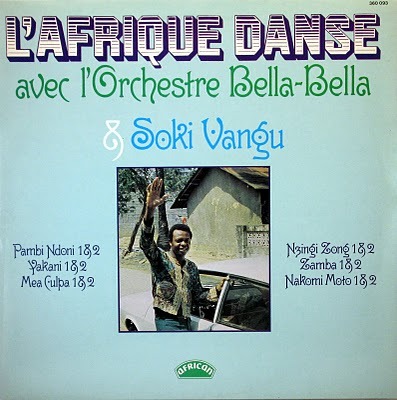 It was released around 1994 but I suspect the material was recorded a few years earlier in the Radio Tanzania studios. 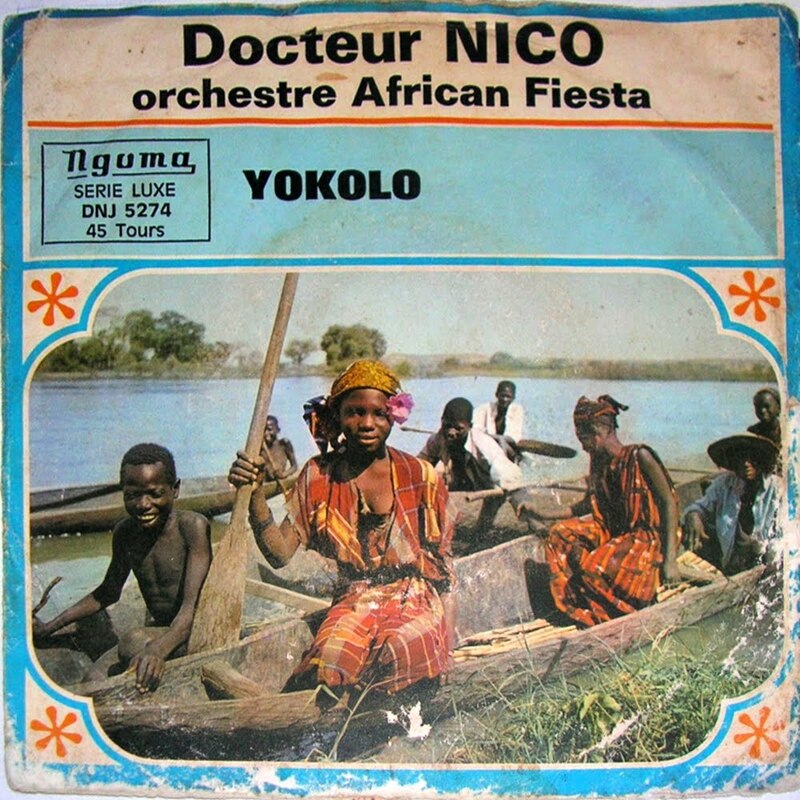 I don't have much to say about this one save that it combines the usual sweet vocals, expert finger-picking and red-hot horns of classic Muziki wa Dansi with the poor recording quality that is the hallmark of most of these Flatim Records releases, usually made from second- and third-generation dubs of the original masters. 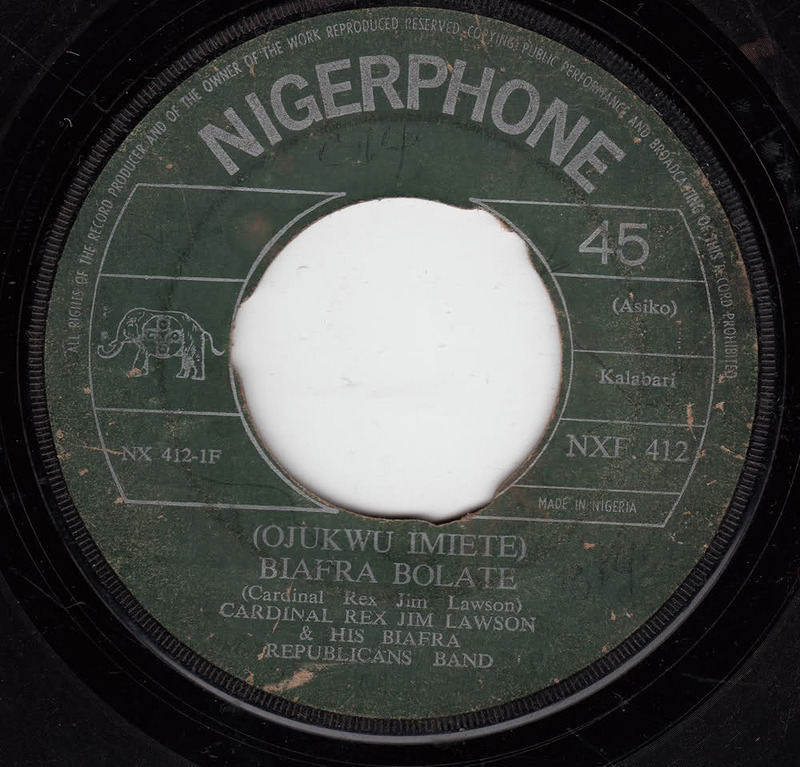 I am pleased to announce, however (and thanks to Zim Bida for making me aware of it) that a project is underway to digitize and preserve for posterity more than 100,000 hours of recordings like this in the Radio Tanzania archives. 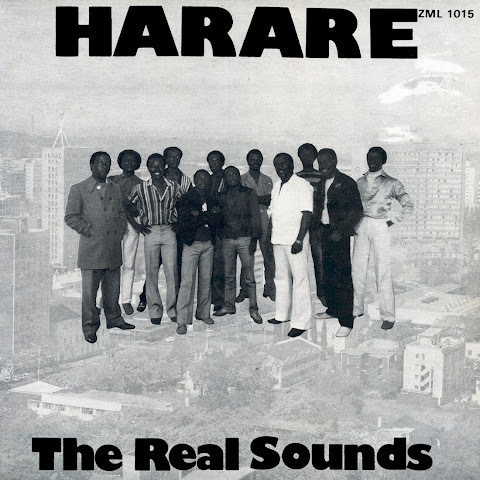 You can go to the website of the Tanzania Heritage Project here, listen to some recordings here, and pledge your financial support here. Plans are to release a compilation CD and make a documentary film of the project. Download Nelson Mandela as a zipped file here. 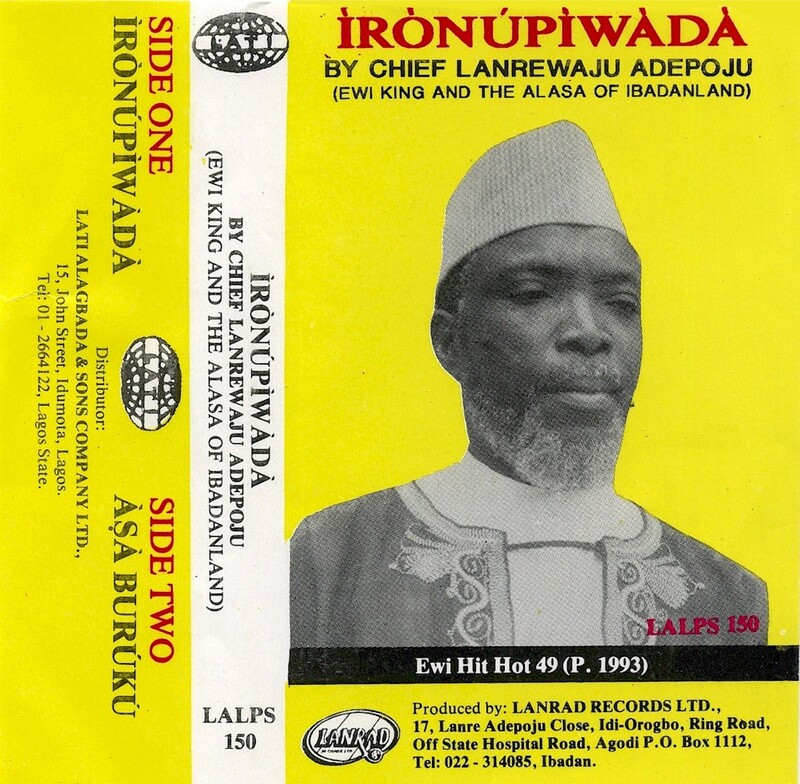 To an outsider, Lanrewaju Adepoju's Èwì would seem to be just another one of the many Yoruba percussion styles that are so popular in the southwestern corner of Nigeria: Fújì, Wákà, Àpàlà and the like. 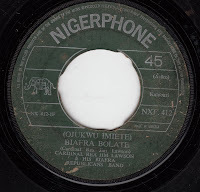 I've come to find out that èwì, properly understood, is not "music" at all but a chanted form of epic poetry, and that Adepoju is considered one of its greatest practitioners. 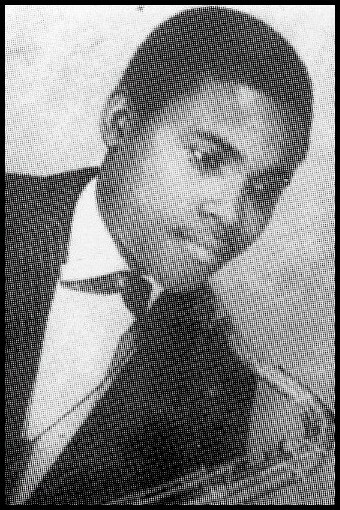 This by way of a fascinating essay, "Lanrewaju Adepoju and the Making of Modern Yoruba Poetry," by Oyeniyi Okunoye, which you can read in its entirety here. 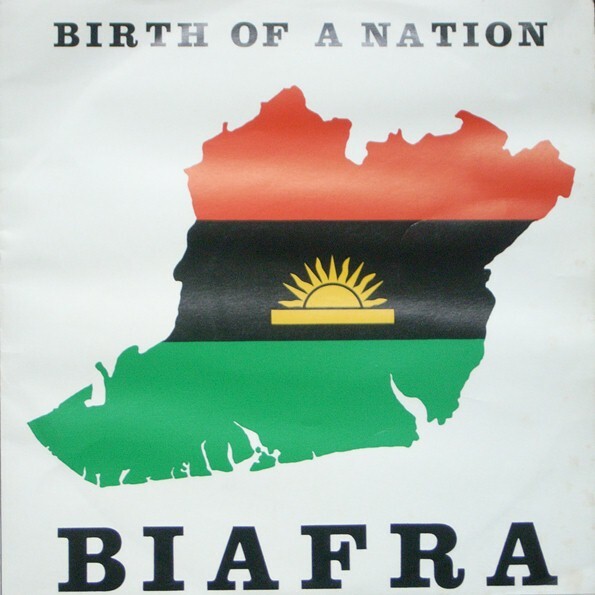 Okunoye marks the development of modern èwì around the time of Independence in 1960 and the broadcast of poetry in Western Nigeria. 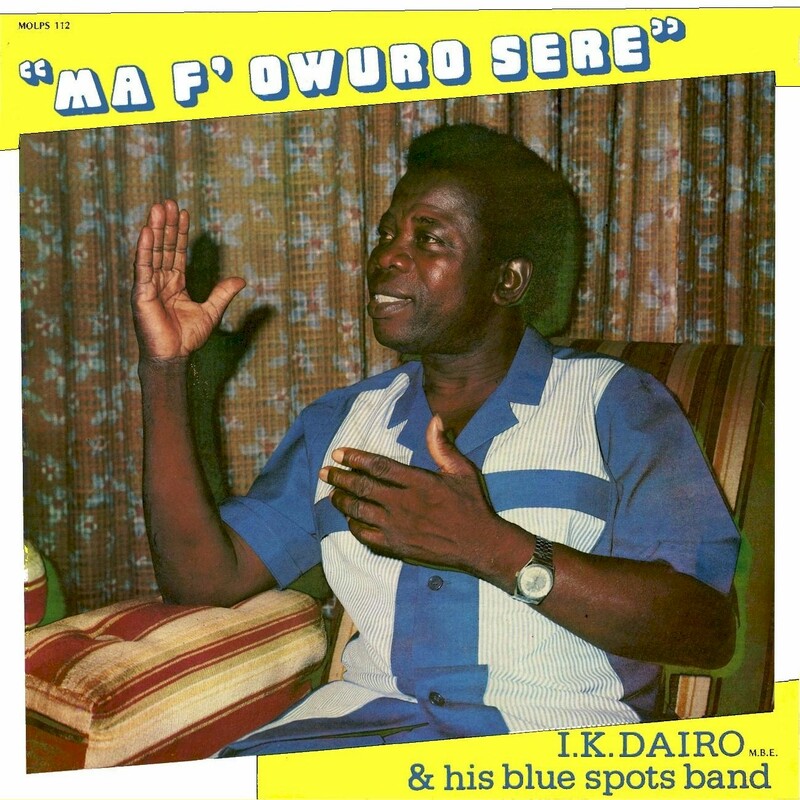 In 1964 Adepoju, who is proud of his status as a "self-made man" despite his lack of a formal education, began reading his poetry on Tiwa n Tiwa, a program on the Western Nigeria Broadcast Service in Ibadan, and went on to produce such programs as Kaaaro o o Jiire? ("Good Morning"), Barika ("Blessing/Greetings") and Ijinji Akewi ("The Poet at Dawn"). 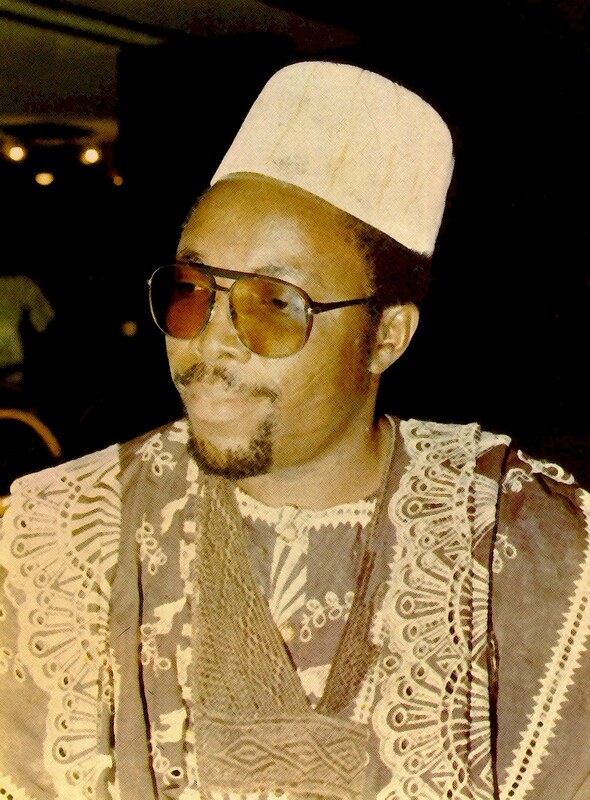 Although Adepoju has emphasized the impact of his return to a conservative form of Islam on his poetic imagination, it is projected only superficially within the broader theistic vision that emerges in his work as a whole. 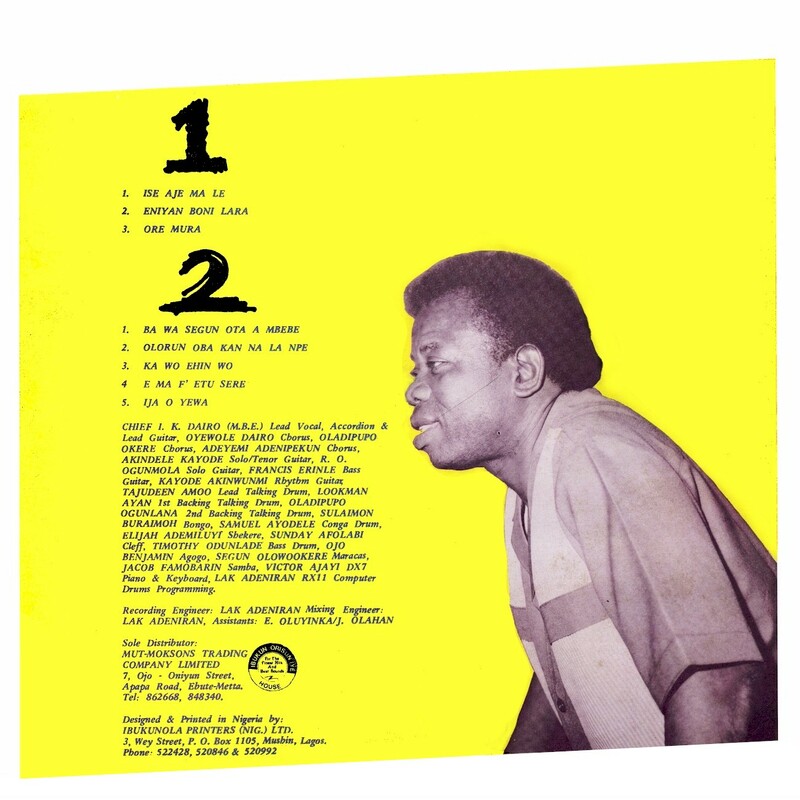 With the obvious exception of poems in which he sets out to propagate particular Islamic doctrines, the vision that pervades his work constantly shifts between the Islamic and the ecumenical, blending Christian, Islamic and traditional Yoruba outlooks. This suggests either a split consciousness underlying Adepoju's work or a deliberate strategy aimed at popularity and relevance in a multi-religious society. His "Oriki Olodumare," a work that conceptually integrates Islamic, Christian and traditional Yoruba theistic visions, testifies to this. Download Ìrònúpìwàdà as a zipped file here.